As such there are no side effects of hair transplant surgery. After hair transplant one may feel slight pain, swelling & itchy scalp for few days only. These can be easily treated with simple medicines. It is not unusual for itching to occur in areas affected by hair transplant. Yet, it should not last more than a few days. Using shampoo to wash your hair every day will help with this problem to diminish. Yes, you read that correctly. 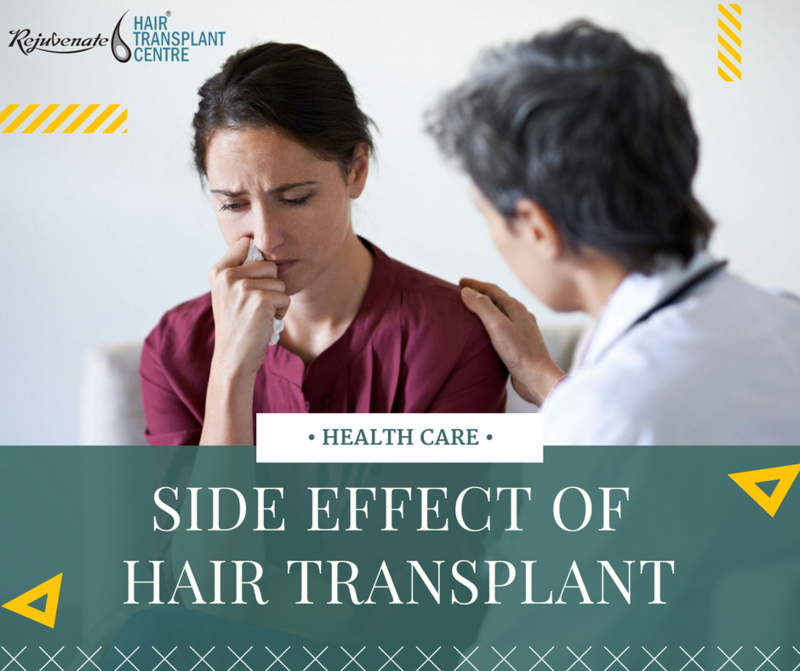 Interestingly, one side effect of hair transplant surgery is having a case of the hiccups after the procedure. Only about 5 percent of the patients have this problem, but it can be troublesome if it lasts more than a few days as it can keep you from eating or sleeping properly. If this does occur, doctors have medications they can prescribe to help aid with this. While rare, infections can also occur with hair transplant surgery. One reason they do not happen more often is that antibiotics are given before and after the procedure to prevent infections from even starting – so don’t get too worried about this possible side effect.